With the conference officially renamed The PAC 8, Jim Sweeney, “The Smilin’ Irishman” was brought in to coach. He was and remains one of the most popular WSU coaches which reflects well the strength of his outgoing personality and sense of humor. His win-loss record was far from stellar yet his players, students, administrators, and fans loved him. The father of nine children, one of whom he would later coach and develop as a top flight quarterback at Fresno State, came to Pullman after five seasons as the head coach at Montana State University. A Montana native and University Of Portland graduate, Sweeney captured three conference championships in those five years at Montana State with future Cougars head coach Dennis Erickson as his quarterback, and he convinced varsity skier Jan Stenerud to give kicking a try. 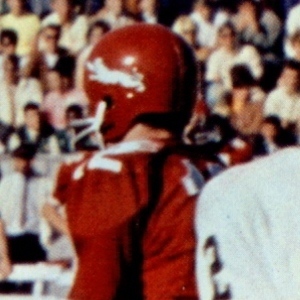 Like many new head coaches, Sweeney put his personal stamp on the uniforms by outfitting his squad in crimson helmets with a unique white leaping cougar decal on each side of the shell. His first outing was a 3-6-1 effort with the defense showing more than the offense behind DE Hugh Klopfenstein. 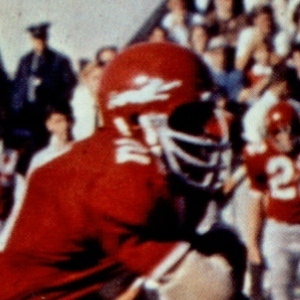 Bob Ewen proved versatile at FB and QB Hank Grenada who spent ’69 with the BC Lions, pulled it together to defeat Washington decisively in the finale.